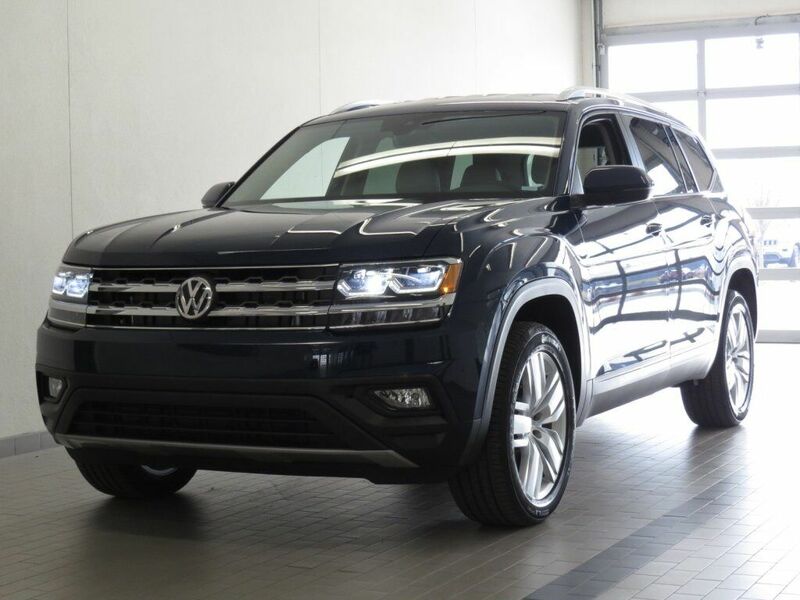 2019 VW ATLAS SE w/TECHNOLOGY AND 4MOTION! THIS ATLAS COMES IN TOURMALINE BLUE METALLIC EXTERIOR WITH A SHETLAND LEATHERETTE INTERIOR! LOADED WITH RUBBER MAT KIT, 2ND-ROW DUAL CAPTAIN'S CHAIRS PACKAGE, TOWING PACKAGE, 20" SILVER TRIPLE 5-SPOKE WHEELS PACKAGE AND MUCH MORE! CALL TODAY AND SCHEULE A TEST DRIVE WITH ONE OF OUR EXPERT CLIENT ADVISORS!